DIYing your DMs is the series where we head to our instagram messages to find projects that you need help with tackling – and then we show you how to make them! Follow us on instagram @thesorrygirls to send us your dream projects! This episode of DIYing your DMs we tackle the halloween costumes you need help making. We show you how to make: the Queen of hearts, Donna from Mamma Mia! 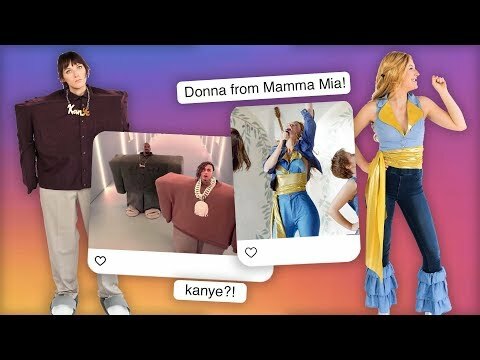 Here We Go Again, Kanye in his I Love it music video and a sun and moon duo costumes.